In the 1960s, L. Ron Hubbard set the criteria for an entirely new philosophy. It would require no address to the person’s mind and, hence, no auditing. Yet its benefits must be swift, lasting and so noticeable that the individual would immediately recognize truth. The result was Scientology Zero—the solutions to the dangerous environment. By its use alone, one can increase intelligence and judgment, restore personal security and, in sum, deliver life-changing wins that far exceed an individual’s expectations. In the 1960s, despite the intensity of upper-level research, L. Ron Hubbard set the criteria for an entirely new philosophy intended to introduce anyone to Scientology. It would require no address to the person’s mind and, hence, no auditing. Yet its benefits must be swift, lasting, and so noticeable to the individual he would immediately recognize truth. The result was Scientology Zero—the solutions to the dangerous environment. Here is a technology to increase a person’s physical well-being, activity level and mental alertness. 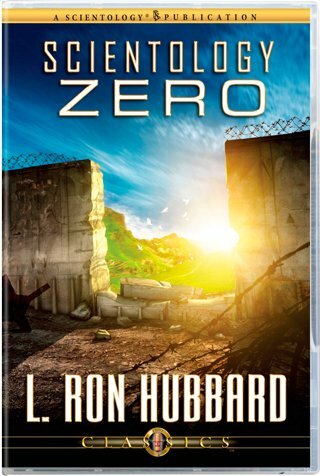 In a lecture preeminent as Mr. Hubbard’s classic statement on the subject, he details Scientology Zero in full, revealing a basic discovery that led to its development. One can turn the tables on the Merchants of Chaos, for the very avidity with which they “sell” a dangerous environment can actually be used to forward the startling and magical gains Scientology Zero can bring. A self-contained body of technology, Scientology Zero places in the hands of every Scientologist an indispensable tool to assist anyone they meet. By its use alone, one can increase intelligence and judgment, restore personal security and, in sum, deliver life-changing wins that far exceed an individual’s expectations.